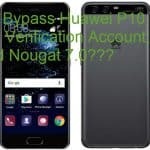 You can Bypass FRP Nexus 6P with dirtycow method, this is the most latest and useful method to bypass google account, this method is for all android devices those have Oct 5 2016 Security Patch or lower than that, except the device those have most updated security patch level December 5, 2016 security patches. 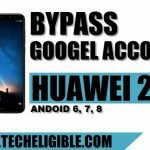 You can try this method with your any device whether it has android 7.0, or android 7.1.1 or android 7.1, but make sure your device security patch is not updated to December 5, 2016. • Tap on “Vision Settings”, then “Talkback”, after that “Turn on” talkback. • Swipe Down to Right to bring “Global Conext Menu”. 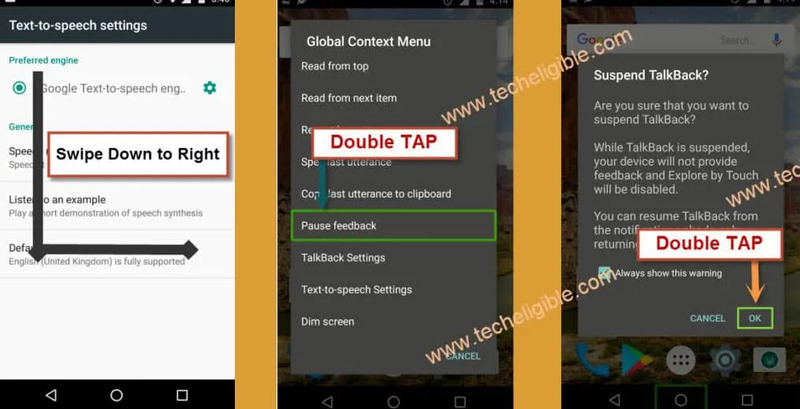 • Double tap on “Text-to-speech Settings”. 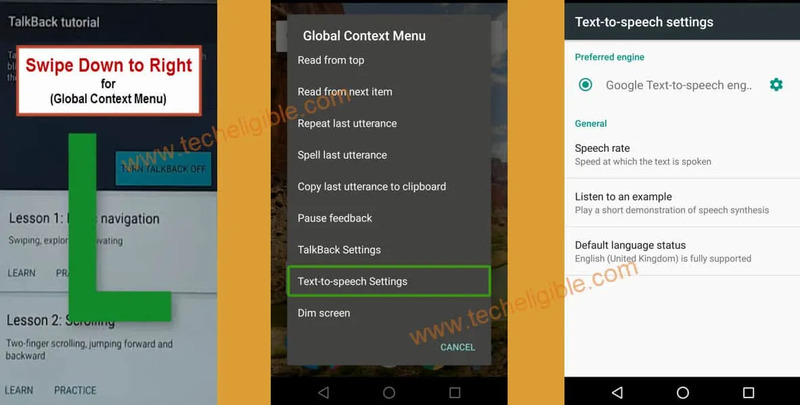 • Now again Swipe Down to Right on “Text-to-speech settings” screen. • Double tap on “Pause feedback”, and then double tap on “OK”. • Swipe from left corner screen to right to bring “Settings”. • Tap on “Setting Home”. 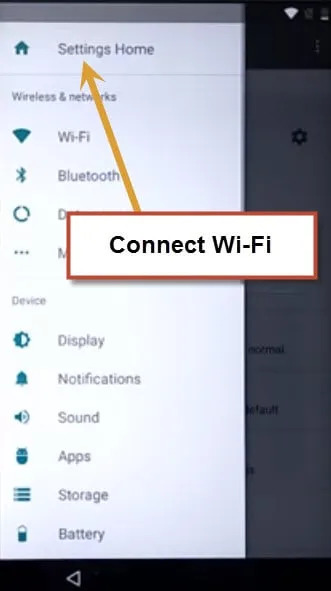 • Now connect “Wi-Fi” to successfully Bypass FRP Nexus 6P . • Once Wi-Fi connected successfully, tap on “Back Key” to go back to “Settings”. • Go down from there, and tap on”Security”, and then enable “Unknown Sources” from there. • Again tap on “Back key” to go to “Settings”. • Tap on “Apps”, and then “Drive”, after that tap on “Disable”. • Tap on “Back Key” to go back to “Apps”. • Tap on “3 dots” from top right corner, and then tap on “Show Systems”. • Now tap on “Google Account Manager”, and then tap on “Modify System Settings”. • Disable “Allow modify system settings”. • Keep tapping back key until you reach to “Settings” screen. • Tap on “About Phone”, then tap on “Legal Information”, after that “Open Source Licences”. • Tap on any link from “Open Source Licences” screen. • “Long Press” on any text, so that (Copy, Share, Select all) options appear. • Tap on “3 dots”, and then tap on “Assist”. • Tap on “No Thanks” from google. • Type there “Chrome”, and then tap on “Chrome icon” to open it. • Now tap on “Accept & Continue”, then “No Thanks”. No you have successfully accessed to google chrome, now we have to download frp tools to Bypass FRP Nexus 6P device, also we will use commands to remove frp lock. 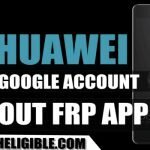 • Type in google search bar “Download FRP Tools Techeligible“. • Open most relevant search result from there. • Once downloading finish, you will get a popup bottom of your screen, tap on “OPEN”. • Install Apex Launcher and then tap on “OPEN” on installation finished. • Tap on “Chrome” browser, then you will be taken to “Download page” where from you downloaded “Apex Launcher”. 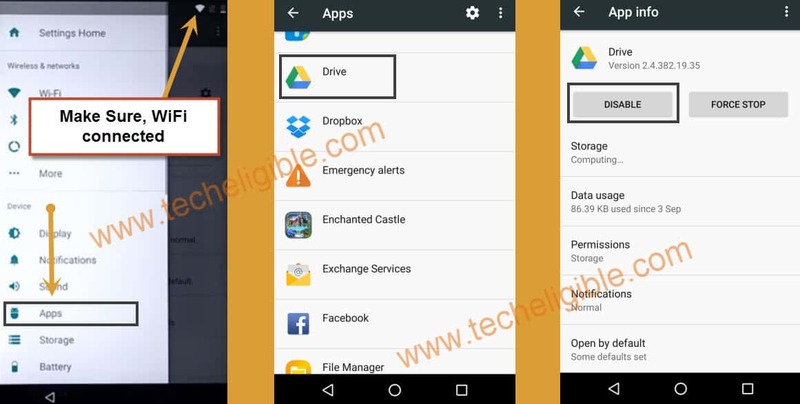 • From same download page, tap on “NEXUS FRP TOOLS“. 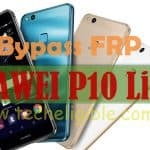 • Now Download All Nexus frp files from there. (there are around 8-9 files) you have to download. • Once downloading finish of all files, go back to your Nexus 6P home screen. • Tap on “Menu” to and then open “DOWNLOAD” folder. 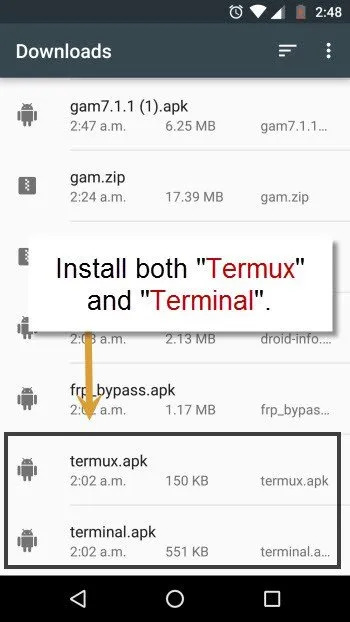 • From there, Install “termux” & “terminal” both applications, at installation finished, tap on “DONE”. • Now tap on “Back Key” to go back to “MENU” options, and from there tap on “Termux” to open it. • Now tap on back key to go back to “Download” folder. • From download folder, select both file “gam6.apk & dirtycow” by long press on both, and then tap on “top right corner 3 dots”, then tap on “Copy to..”. • Now from left side screen menu, tap on “Termux“, and tap on “Copy” from down right corner. So now we have successfully copied both “gam6.apk” file, and “dirtcow.zip” file to the termux. • Tap on back key to go back to your Nexus 6P Menu. • From there tap on “Termux” to open it. Note: ls = LS, so don’t confuse with 1 or I or something, it is L, we will type in small alphabates. • Now tap on “Back Key” and go to “Download” folder. • Now “Long tap” on “gam6.apk“, and then tap on “Share icon”, after that select “termux” from share options. • Tap on “OPEN FOLDER” from popup window. • Again go back to “Download” folder by tapping on back key. • Long tap on “Dirtycow“, then tap on “Share icon” from top corner, and share with “termux”. • If you get popup, tap on “OPEN FOLDER”. • Type command ls in terminal window, and then tap on “enter” key. 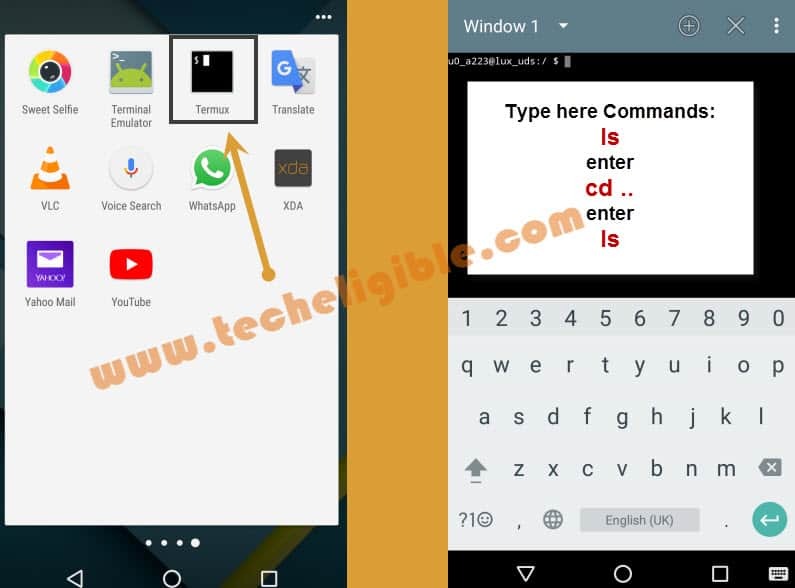 • Tap on back key to go back to menu, and then tap on “TERMINAL EMULATOR”. • Go back to “MENU” by tapping back key, open “Termux”. • After putting successfully commands, you will have window in TERMUX same as below. • Go back to “MENU”, and then tap on “Download”. • Tap on “gam7.apk“, then tap on “Install”, and then tap on “Done”. • Now tap on “Back Key” from your Nexus 6P device, go back to “MENU”. • Tap on “Settings”, then “Apps”, and then tap on top right corner “3 Dots”, and then select “Show System”. • Now tap on “Google Account Manager”. • Tap on “Disable”, then tap on “OK”. • Now you will see a screen of “Uninstall Unsuccessful“. just tap “OK”. • Again tap on “Enable”. 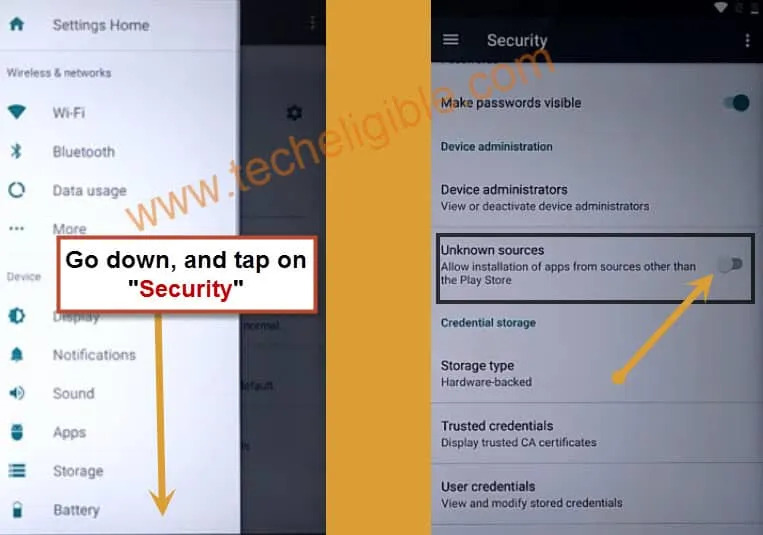 • Now you will see there “com.google.android.gsf.login“, means everything is going well. 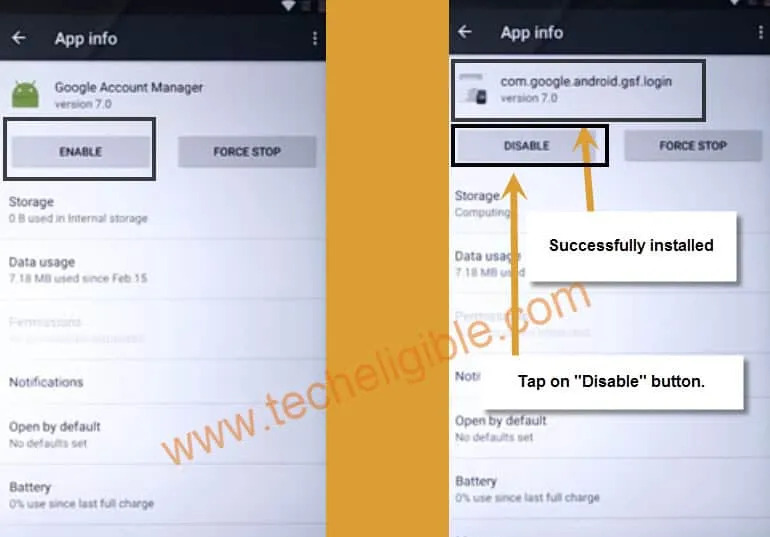 • Tap on “Disable” button again, to disable “com.google.android.gsf.login“. • Now you will see a screen of “Uninstall Unsuccessful”. just tap “OK”. • Go back to “Download” folder. • Tap on “gam7.apk“, install it, then done. • Now again go to “Settings”, then “Apps”. • Now tap on “Uninstall” button from there, then tap on “OK”. • Tap on “gam6.apk“, and install it, then done. • Now we have successfully bypassed Android version 7.0 to Android 6.0. 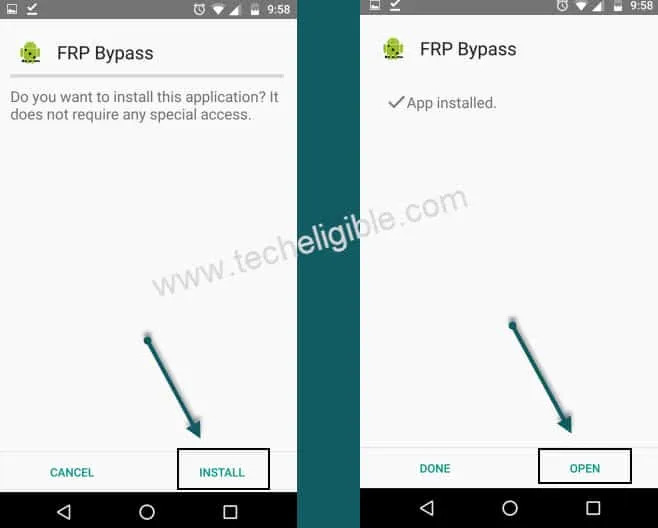 • Tap on “frp-bypass.apk” from download folder. • Then tap on “Install”, and then tap on “OPEN”. • After that tap on “Browser Sign-in”. 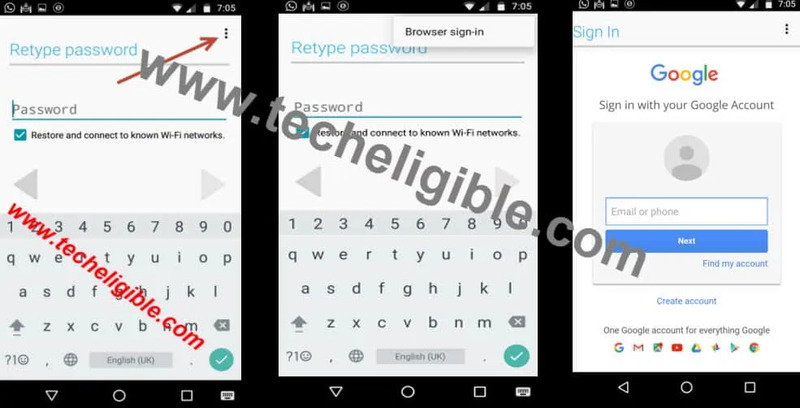 • Now type your “Valid Gmail” id there with password and then tap on “Sign in”. • Go back to “MENU”, Tap on “Termux”, and long press on termux window, then tap on “More”, then “HANGUP”. 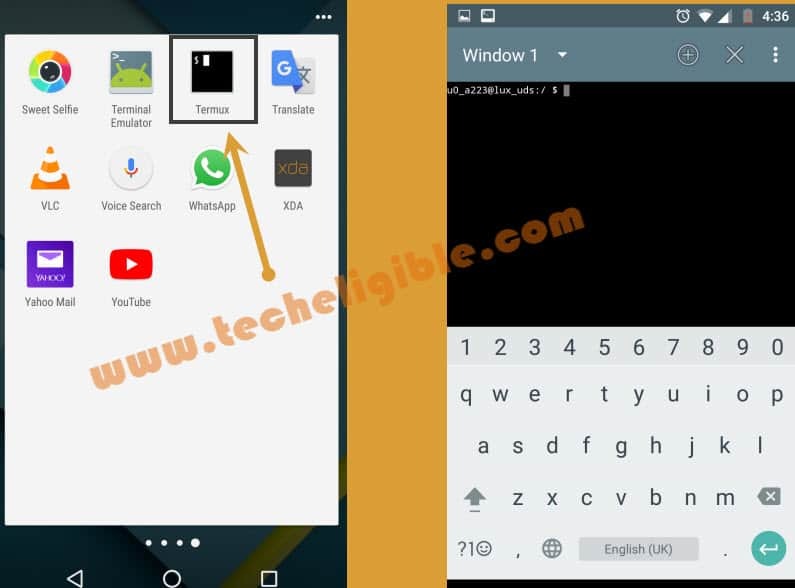 • Now go back to menu, then tap on “Terminal Emulator”, and tap on “X” cross sign from top right corner. • Once again go to “Download” folder. • Tap on “gam7.apk” and install it once again. • Go back to “Settings”, then “Apps”. • Tap on “Google Account Manager”, and there you will see “Google Account Manager 7.0“. • Now tap on “Back Key” to back to “Apps”, then tap on “3 dots” from top right corner. • After that select “Reset app preferences” from there, then tap on “Reset App“. • Now go back to menu, and Switch off your Nexus 6P by pressing “Power Key”. • Go to “Settings”, then “About Phone”, and tap 5-6 times rapidly on “Build Number” until see you a popup of “You are now a developer!”. • Tap on back key, to back to settings, then tap on “Developer Options”. • Now tap on “OEM Unlock” to enable it. 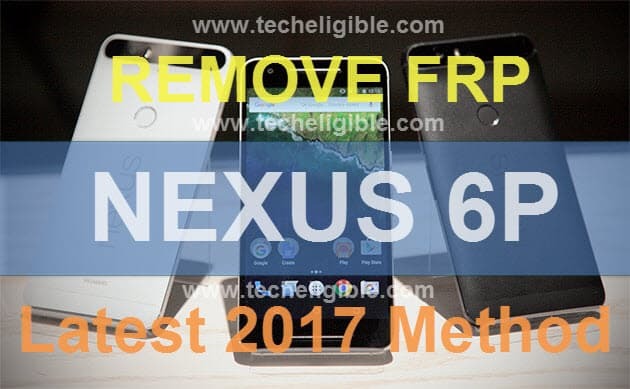 Congrats you’ve successfully accomplished the method to Bypass FRP Nexus 6P Android 7.0 device. Thanks for visiting us, if you have any question feel free to ask in comment box. I gpt same problems on HTC Nexus 9 fw 7.1.1 / Oct 5 2017 security patch.